Free and open Earth observation (EO) data offered by Copernicus program is creating both great opportunities and complex logistical challenges which need solving. The effort of making satellite data more accessible lead to the establishment of “Data and Information Access Services (DIAS)” projects, where Sinergise is taking part in 3 out of 4 consortia awarded by European Space Agency (ESA). After six months of strenuous work we are happy to see these projects entering into the operational readiness phase. Copernicus is the most ambitious EO programme to date creating an unprecedented volume of data. The DIAS are solving the accessibility problems to these large data repositories by providing easy and fast access as well as a variety of sophisticated processing tools and resources for users, without the need to download vast amounts of satellite data to your computer. 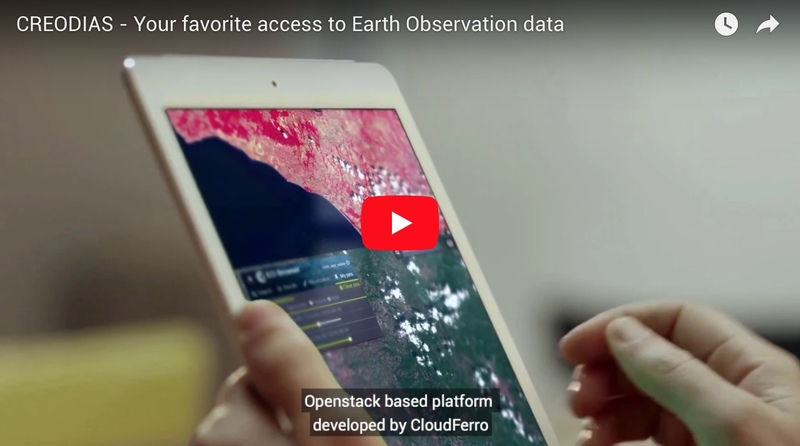 With a scalable computing and storage environment, the third parties are empowered to offer advanced services integrating Copernicus with their own data and tools to the benefit of their own users. The goal of the project is to enable a reliable, technologically advanced solution available to everyone. With accurate, timely and easily accessible information we can together improve the management of the environment, understand and mitigate the effects of climate change and ensure civil security. 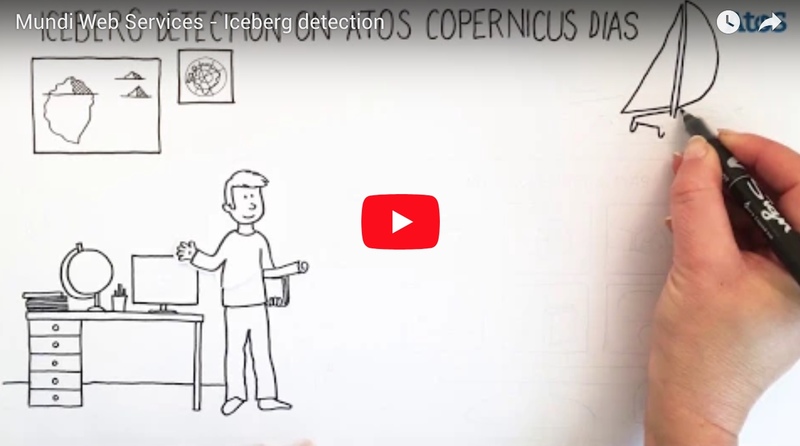 The data can be used for numerous purposes and business applications, such as presented Iceberg detection example by Mundi Web Services. Airbus Defence and Space with Orange as cloud provider. We are proud to be part of first three mentioned consortia and will be expanding our services to these DIAS platforms. CREODIAS, a real-time big data repository that makes your work significantly easier and your business far more competitive. Sinergise’s Copernicus Masters award winning solution, Sentinel Hub, is providing the technology to work with original EO data, eliminating the need for computationally intensive pre-processing and storage. It uses the cloud infrastructure and innovative methods to efficiently process and distribute data in a matter of seconds. It can be integrated into a simple mapping application or a complicated machine learning process, allowing for an easy-to-use and cost-effective way to exploit the data. The DIAS projects are removing the major hassle of downloading and archiving, while Sentinel Hub can render petabytes of data and simply makes the full and global archive easily available immediately via OGC standard web services. With Sentinel Hub API support of OGC compliant WMS, WMTS and WCS you are able to seamlessly integrate the satellite data into GIS applications, get either original EO data within the selected area of interest or processed results such as true color composite, NDVI, burned area and many others. Standard OGC service interfaces are extended to support multi-temporal processing, mosaicking, etc. Application developers can therefore truly focus on added value services and end-user applications rather than having to deal with the complexity of remote sensing data. ONDA is the name of the Serco Italia SpA led consortium selected to provide the Copernicus Data and Information Access Service (DIAS). For more information and updates follow Twitter accounts: @creodias, @mundiwebservice, @ondadias and @sentinel_hub. Subcribe to our latest news and receive latest news! 2016 © Copyright by Sinergise. | All Rights Reserved.